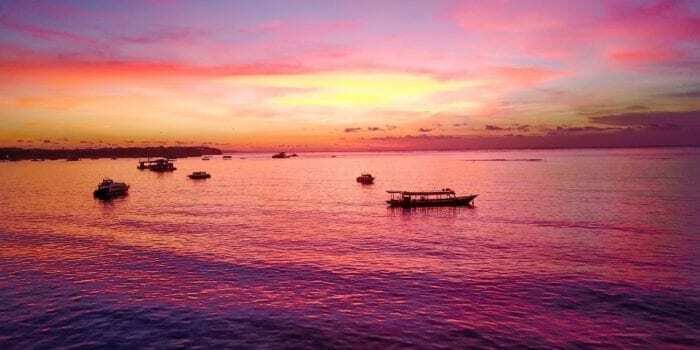 Tropical palm trees, balmy, humid air and the sound of distant waves lapping at the beach, all these images and sounds are evoked by the mere mention of the word “Bali”. 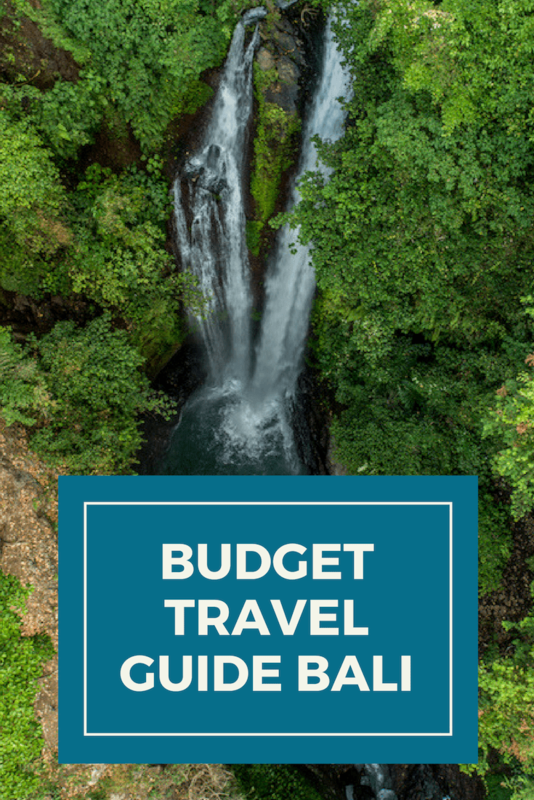 Bali is a tropical dream and one of the most popular honeymoon destinations, but paradise is accessible for all, here is the ultimate budget travel guide for Bali. 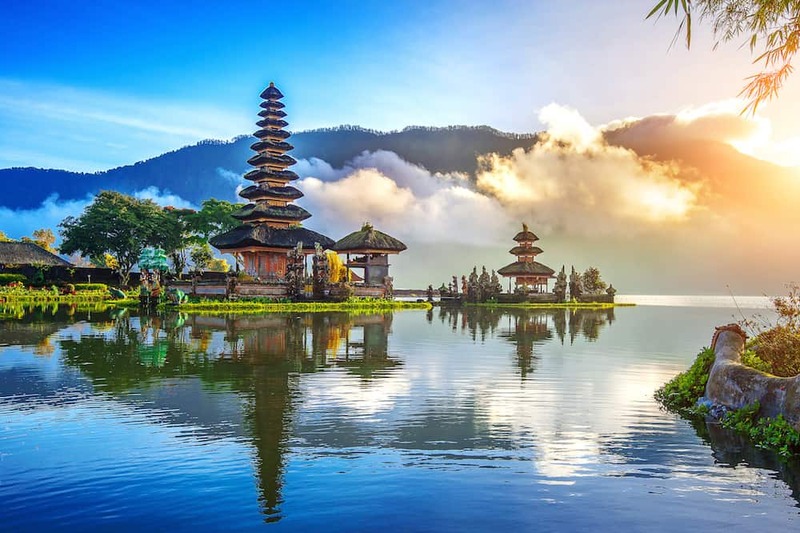 Though it is a luxury travel destination, it is possible to do Bali on a shoestring on a minimum budget of around 20 euros a day. Renting a motorbike will cost approximately 5 or 6 euros per day, but 20 euros should be more than enough. 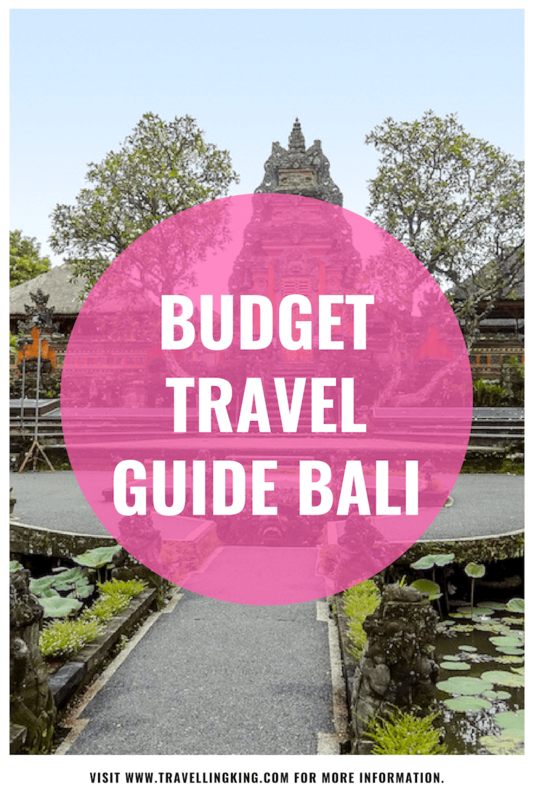 Here is our ultimate guide to the best money-saving tips and tricks in Bali. 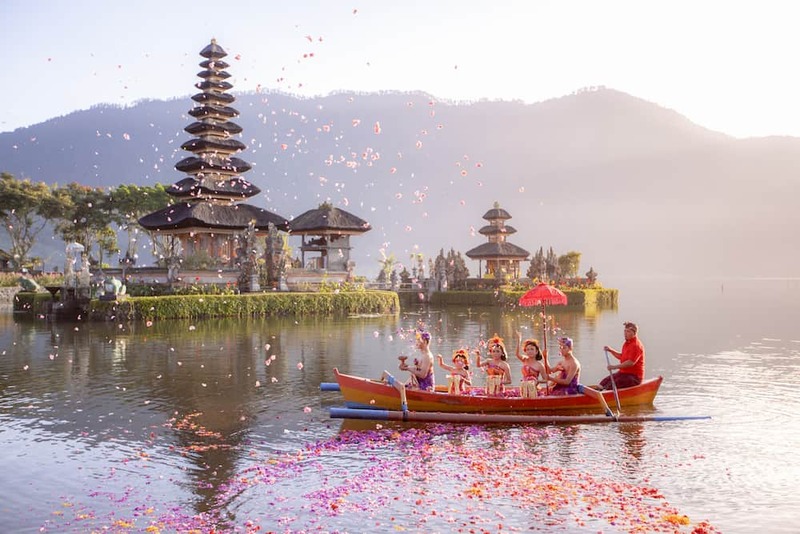 The best time to visit Bali on a budget is to travel in the low season, especially between September and the end of October and also in April and May. These months still have excellent weather, sunshine and the occasional bouts of rain. The summer months bring floods of tourists and accommodation can be almost double of what they charge in the “green season”. There is a risk of showers during the low season, especially from November to March, so these months are best avoided. 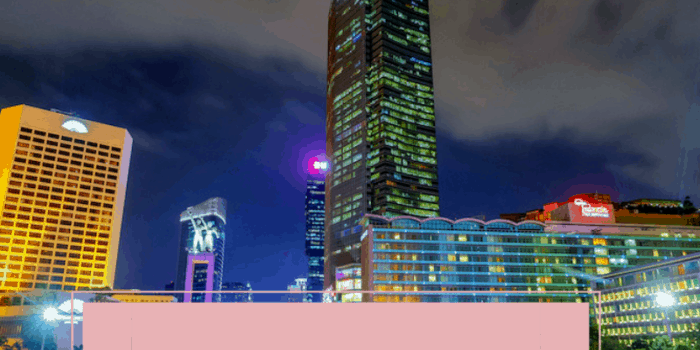 Travelling in the low season may give you great deals on budget accommodation or even upgrades to nicer rooms in many hotels that are keen to fill their rooms. A downside to visiting in the low season is that there are sometimes days of downpours if you are lucky the rainstorms will only last an hour or so. Wetter weather also may mean more mosquitos and an excellent mosquito repellent with DEET is recommended. For scuba diving and snorkelling, the rains often bring more silt to the water, affecting the visibility and some boat journeys may be rougher than usual. 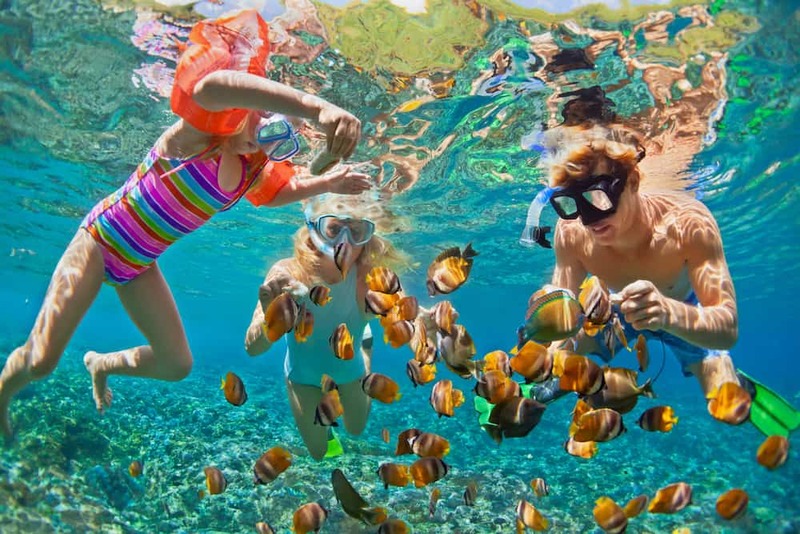 Bali has one of the most diverse marine ecosystems in the world and snorkelling will give you the experience of swimming in a teeming, vibrant, underwater world full of colourful tropical fishes. 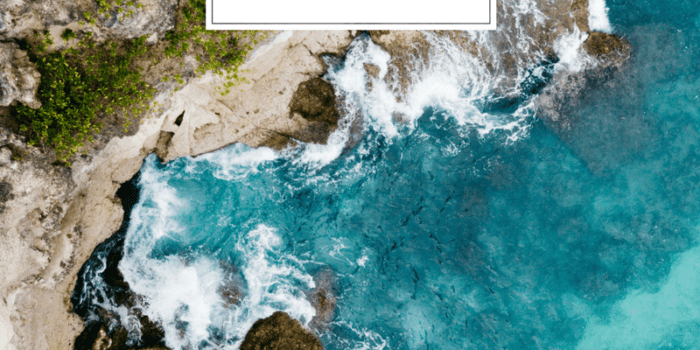 This is a cheap alternative to scuba diving, and the only thing you need is a mask and snorkel which you can rent on the cheap or bring with you on your journey. If you’re lucky, you might be able to meet a friendly local sea turtle or even snorkel with ocean sunfish or manta rays! 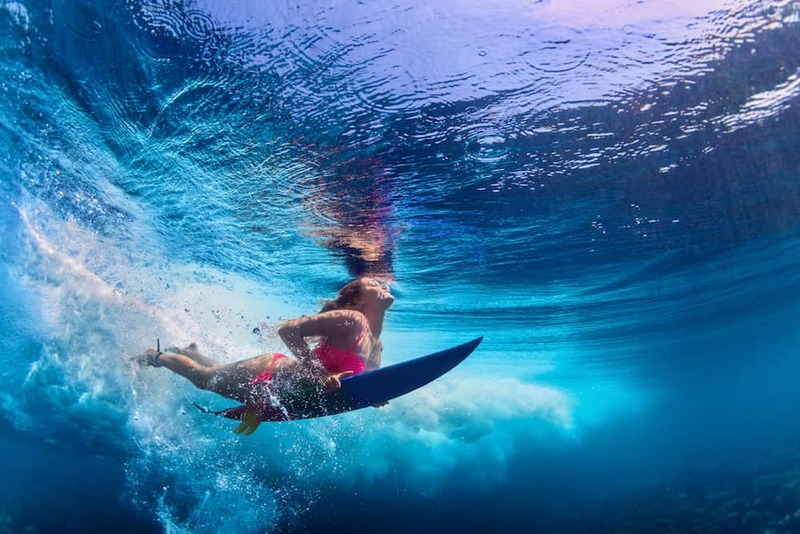 Surfing in Bali is world famous, and many people travel here to Canggu, Kuta or Jimbaran to catch some waves. Best of all these activities are almost free! 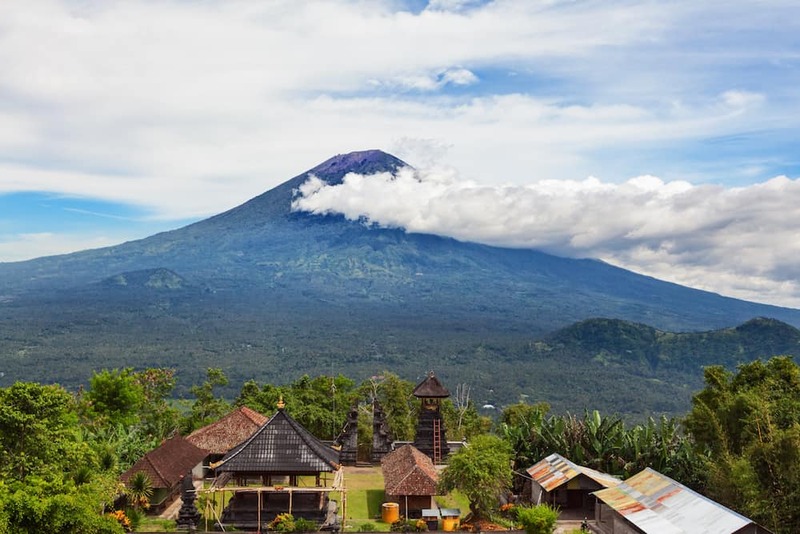 If you are looking for adventure, Bali offers mountains and volcanoes which provide a challenge to hikers, climbing Mount Agung or Batukaru, normally requires a local permit (for safety issues) which can be obtained through the local village community organisation at no extra cost, however a guided tour would be highly recommended in these circumstances. 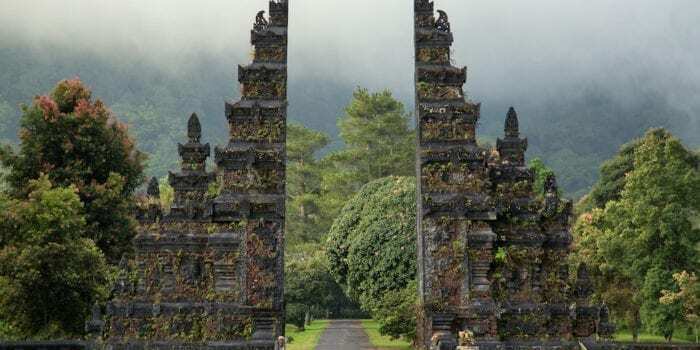 There are milder climbs such as Mount Lempuyang in Karangasem, Eastern Bali that offers a free climb through lush, green forests to the soundtrack of grey macaques leading to Pura Penataran Agung Lempuyang, a stunning Balinese temple nestled on the slopes of the mountain. 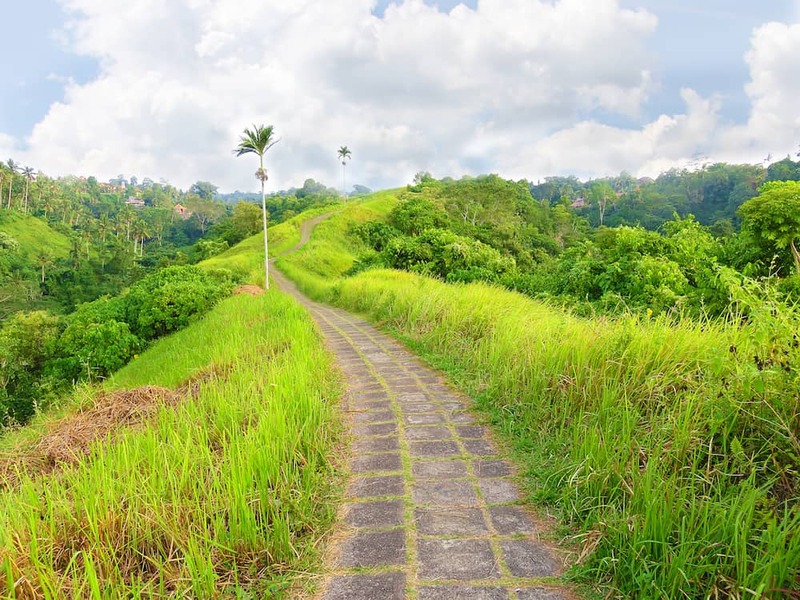 One of the best free attractions in Ubud, the Campuhan Ridge is a gentle nature walk on a well-trodden path through the Balinese highland. With gorgeous hillside views, this nine-kilometre trek allows you to escape the city and discover the pristine beauty of the countryside. Bali has an impressive offering of artisanal arts and crafts on sale in the local markets, curious and handicrafts, which make perfect souvenirs and are an absolute bargain! 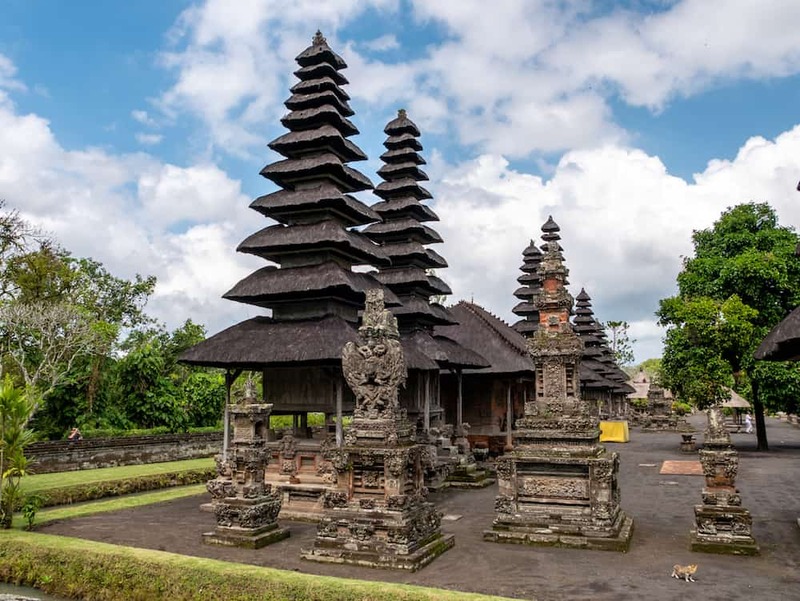 You can visit picturesque villages to see how craftsmen make their wares, there is an excellent market in the Pakudui village in Tegallalang, or visit the gold and silversmiths of Celuk and Mas in the South of Ubud. 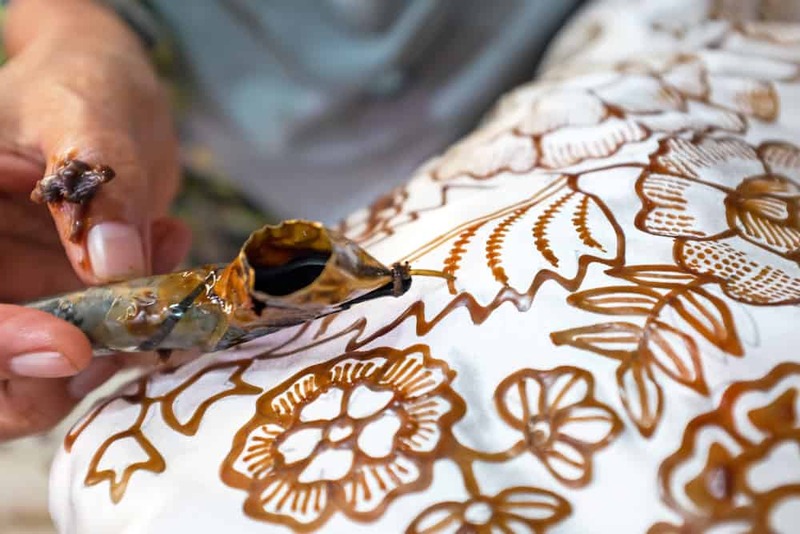 The most popular crafts in Bali include the beautiful batik fabric, woodcarvings and gold and silver crafts. 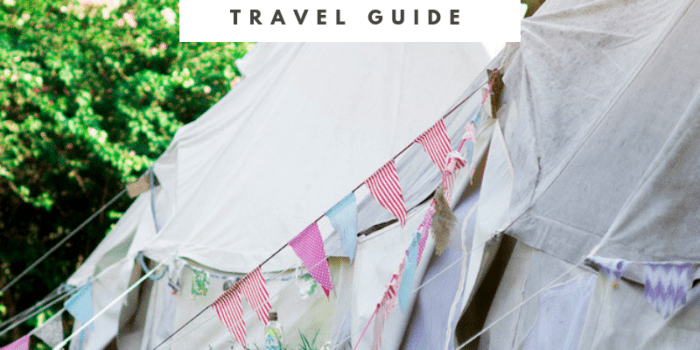 You can spend a few hours perusing the markets for free, but not buying anything is quite a challenge as you may fall in love with the beautiful crafts on display. 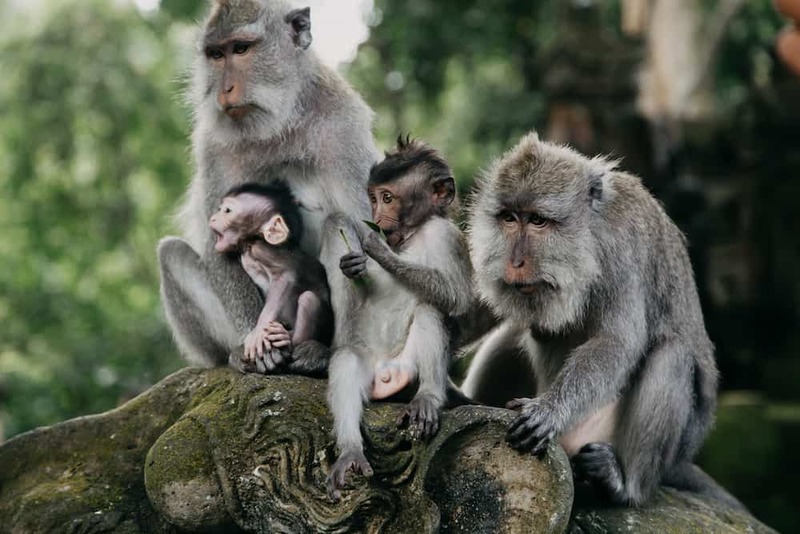 One of the most famous places in Bali, this forest is full of crafty monkeys. The monkeys come up to you and have learned a couple of tricks in the last few years. They steal sunglasses and will only return it to you with a bribe of food, so keep your bags zipped, don’t carry any food and don’t wear your sunglasses on your head or around your neck! 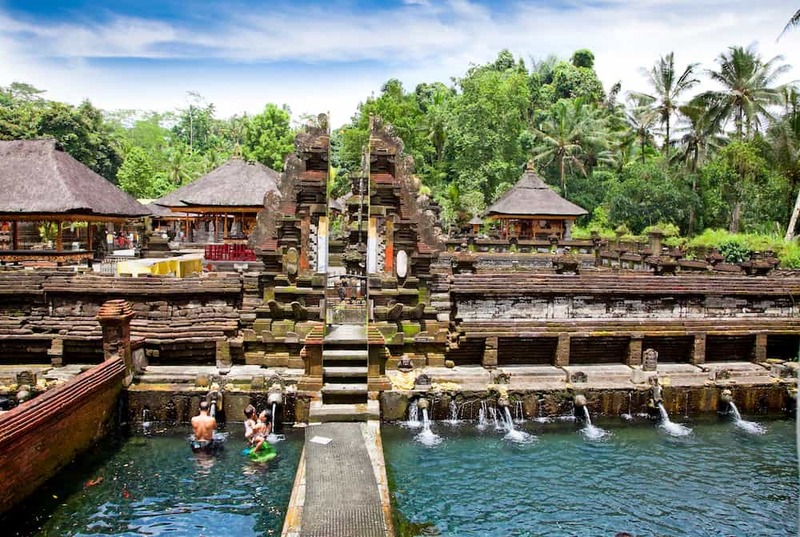 Aside from the meddlesome monkeys, the main attraction is a temple complex with a modest entry fee of 40,000 Rupiah. 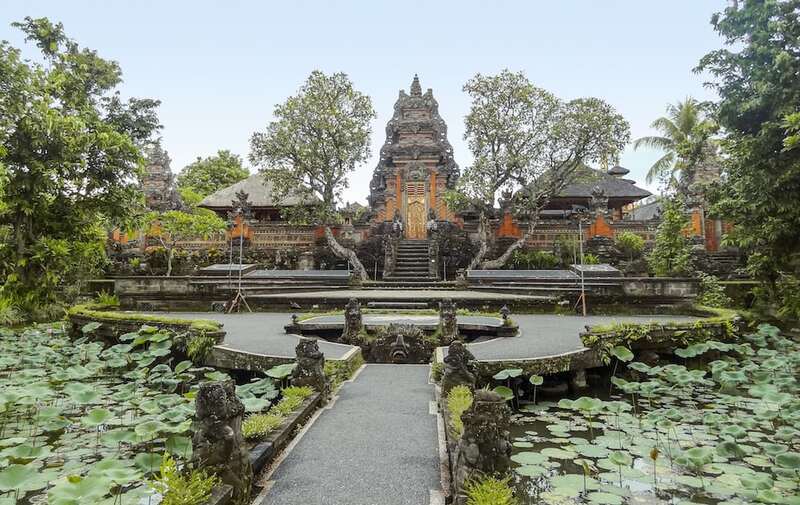 With over 20,000 temples in Bali, we guarantee that you will be all templed out! There are so many stunning temples that you can visit for free and some at a small fee, but the temples are a must-visit to discover the heritage and culture of this beautiful island. Traditional Balinese dance and music for free! In each village, there is a community-gathering hall where the local youths practice performing arts such as the traditional dances and gamelan orchestras. 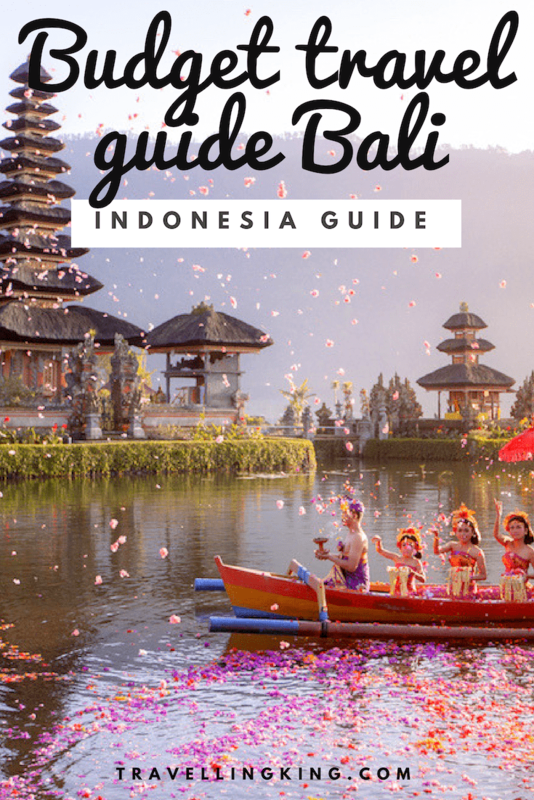 Visiting one of these will give you an insight into the culture of Bali without costing a cent and is much cheaper than watching one of the Balinese dance shows on offer. In March the Saka New Year preparations will be underway, and you can witness a glimpse of the festivities in these cultural halls. Bali is home to a number of waterfalls which you can visit for free. 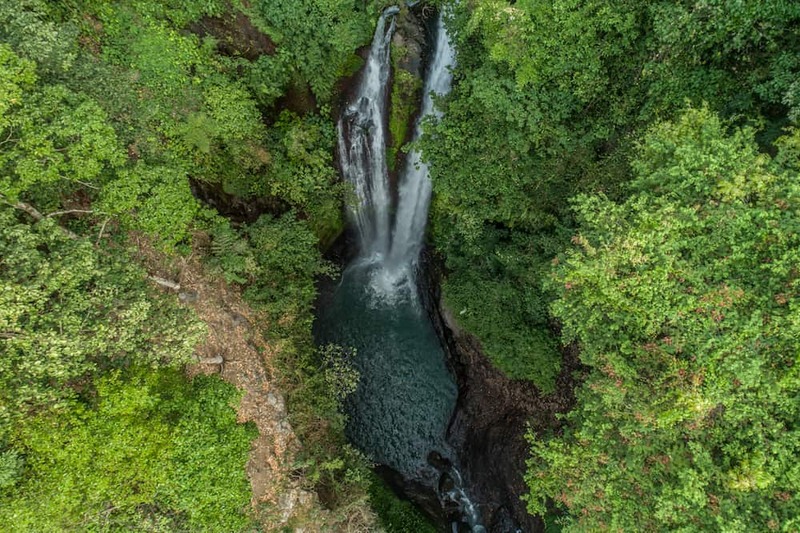 The Aling Aling waterfall offers the opportunity for adrenalin lovers to jump off the cliffs into the deep water below while Tegenungan Waterfall will give you Instagram photos to die for and is a perfect place to cool down on hot, balmy days. As there are so many temples and Hindu processions, you have a good chance of encountering one on your visit. The whole village is clad in temple attire and carry their offerings on their head on their way to the temple. 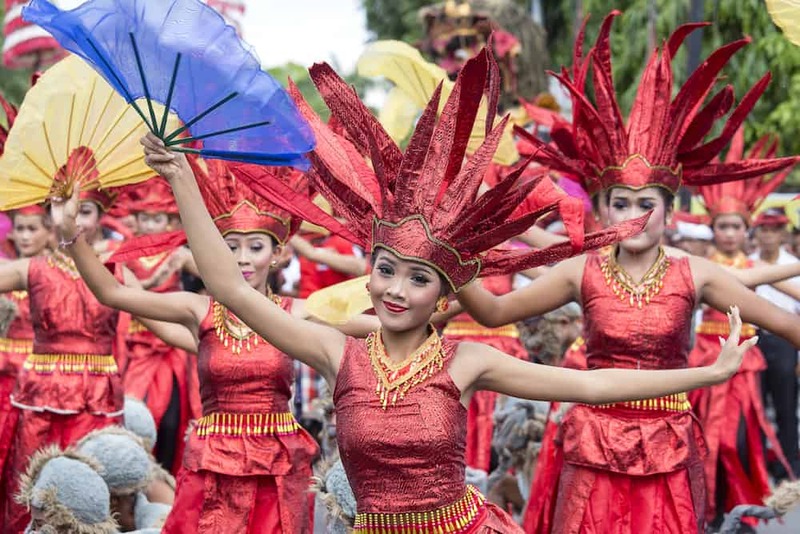 There are many festivities throughout the year to celebrate various Hindu gods, check out this link to catch a local celebration and experience the culture of Bali. 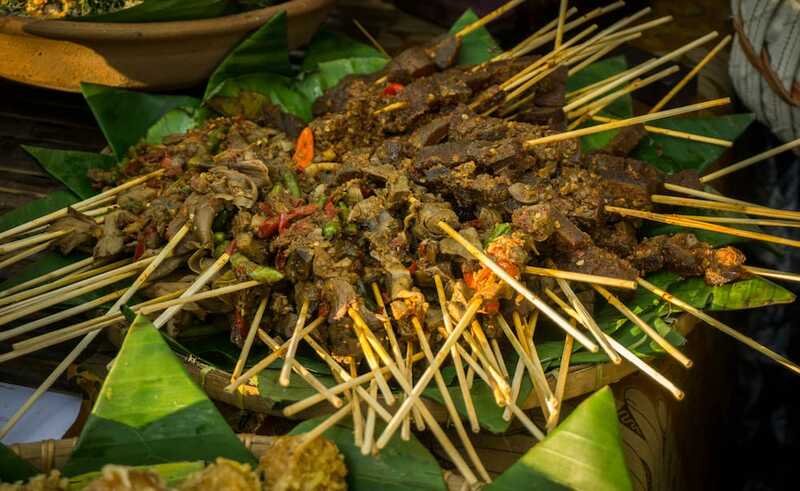 Don’t be afraid to try the local food at street stalls. Make sure you visit the ones that are full with a high turnover, ensuring that the food is fresh and reducing your chance of getting an upset stomach. Local restaurants with fixed price menus offer mouth-watering local dishes, remember to check the prices on the board before you order and pay attention to what the Indonesians around you are paying to avoid getting ripped off. Prices are usually as low as 10,000 to 25,000 for a good, hearty meal. Indonesia is also known for its best coffee. 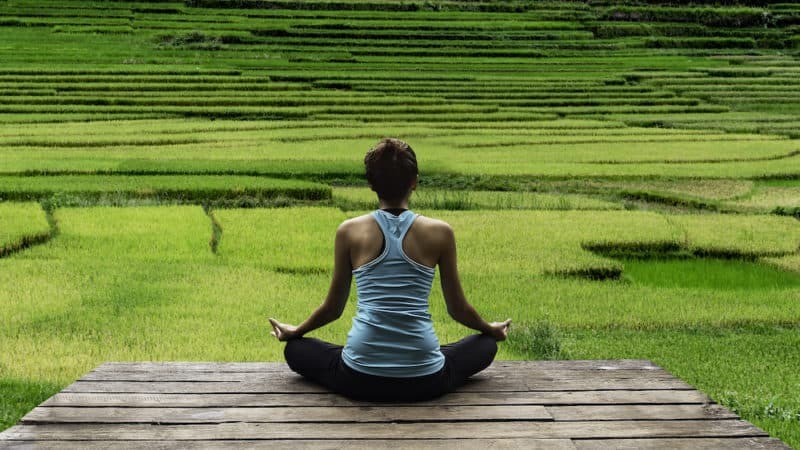 • Ubud – this beautiful area that is located in the North of Bali, which is full of spectacular rice terraces which you can visit for free as well as the famous Monkey Forest Ubud and Ubud market which will give you an opportunity to practice your haggling technique. 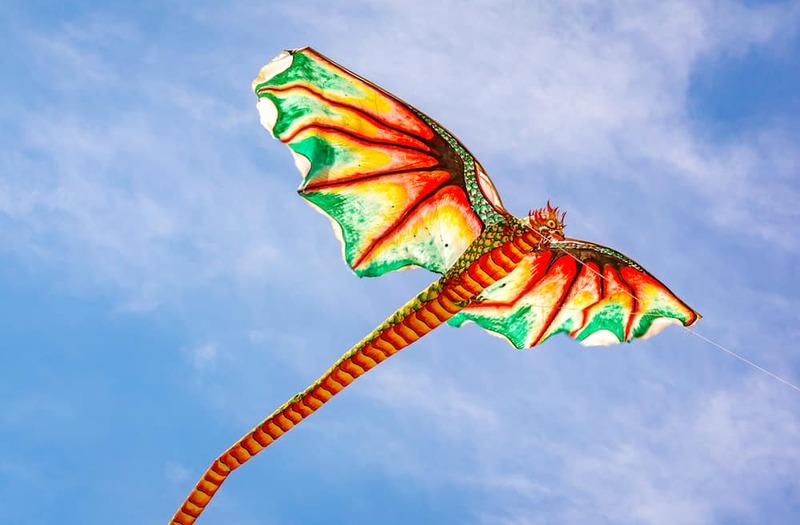 • Sanur – this picturesque fishing village with kite surfing and is the location where the International Kite Festival is held, usually in July and August. 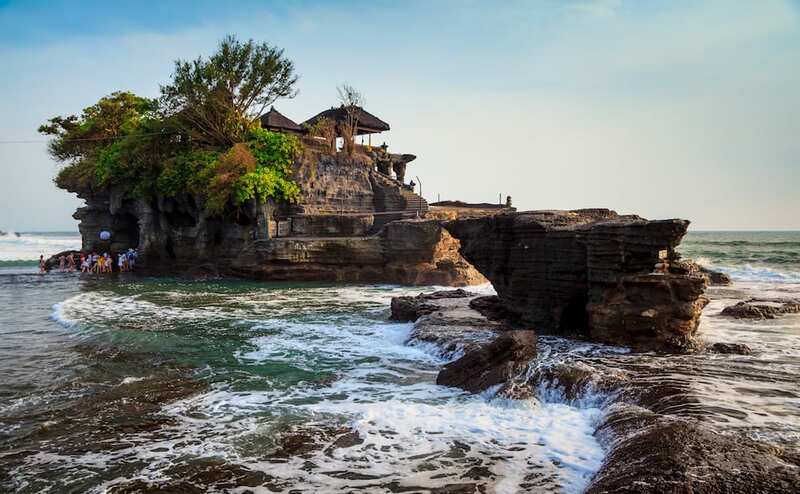 There are plenty of cheap guesthouses in Bali where you can stay on a budget. Remember that prices are negotiable, especially in the low season. You can look into affordable Airbnb options, but the best areas for backpacker budgets are Seminyak, Ubud and Kuta/Legian. Get a $40 in travel credit when you sign up, using this link (Only for new Airbnb guests). 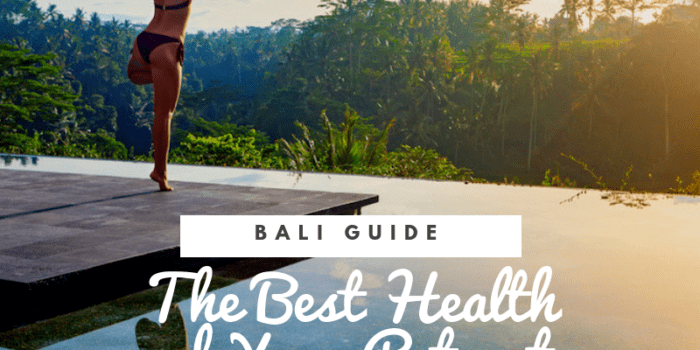 We have also written an extensive guide on Where to stay in Bali. One of the best budget hostels in Bali is Puri Garden Hotel and Hostel with prices for a dorm room starting from 14 euros per night. This hotel has a pool, free breakfast, free yoga classes every morning making every penny worth it. The friendly staff organise tours, social activities and events make this one of the best hotels in Bali. Another great hostel is the Cara Cara Inn in Kuta, which has dorm beds from 11 euros and private rooms from 21 euros per night. 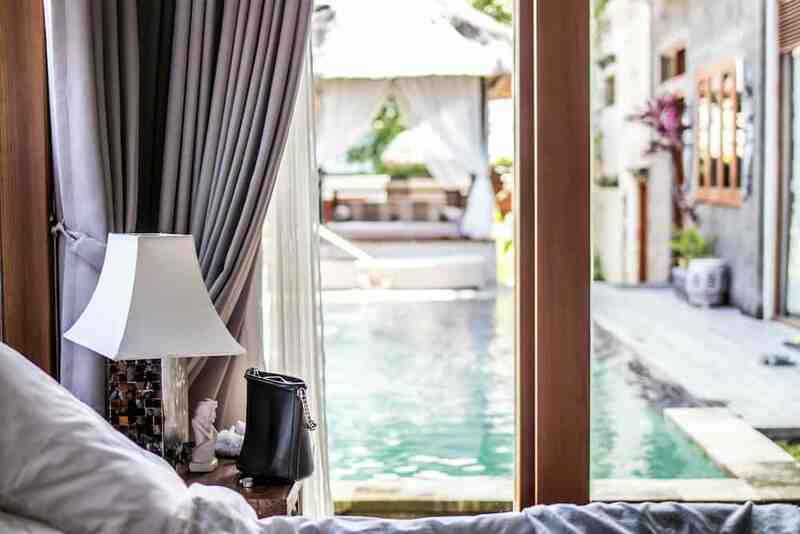 Each cabin has air-conditioning, and the hotel is set in a tropical garden and has a tropical landscaped swimming pools for relaxing and unwinding at the end of the day. 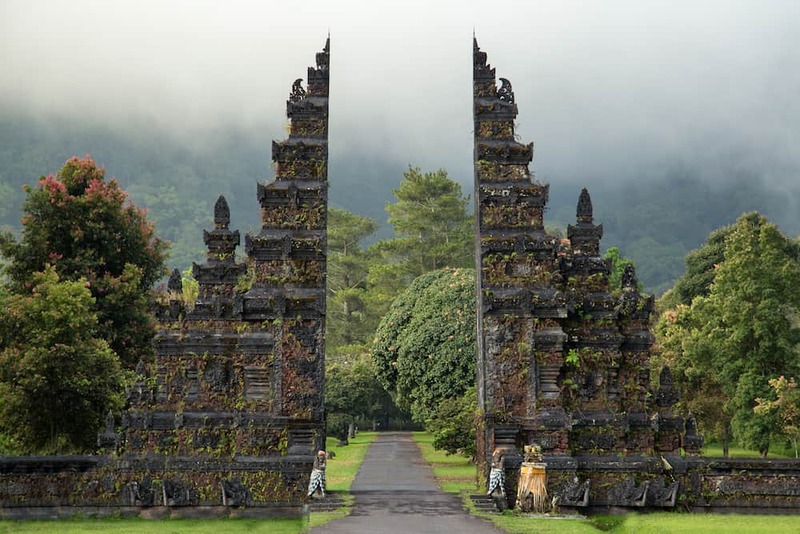 When it comes to travelling in Bali, there is a wealth of budget options. Firstly, when you arrive at Ngurah Rai International airport, you may be overwhelmed by the chaos of activity. You will need to get a taxi, but there are many trickster taxi drivers without meters who are looking to scam the hundreds of tourists that arrive daily. Grab your backpack and get out of the airport, once out on the public roads you will find meter taxis, which you can flag down and save a lot of money. Once you’re settled, there are man ways to get around. There are Bemos, which are small public minivans that will take you almost anywhere. They can be hard to pin down, and their schedules may be unpredictable, but they cost next to nothing. The Ojek is a motorbike taxi that will take you anywhere for a negotiable price. Make sure to bargain before hopping on and always wear a helmet!! You can also rent a motorbike for around 30,000 to 50,000 rupiah per day, a full tank of petrol will set you back about 20,000 rupiahs. 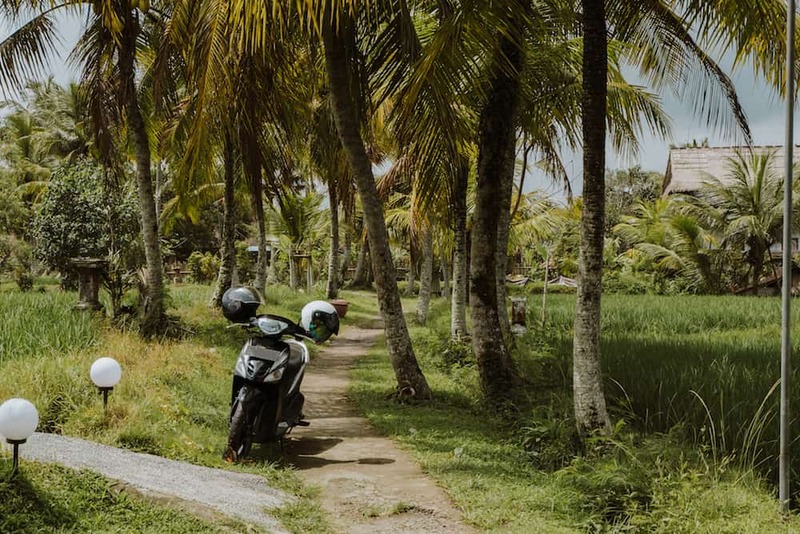 This is the riskiest option for transportation, as you need to be a holder of a motorbike license issued by local police to avoid being caught and fined (bribed). Also be careful of the dangerous driving conditions. This is definitely not for the faint-hearted! Finally, if you plan on going island hopping always opt for the slow ferry which will save you some money.